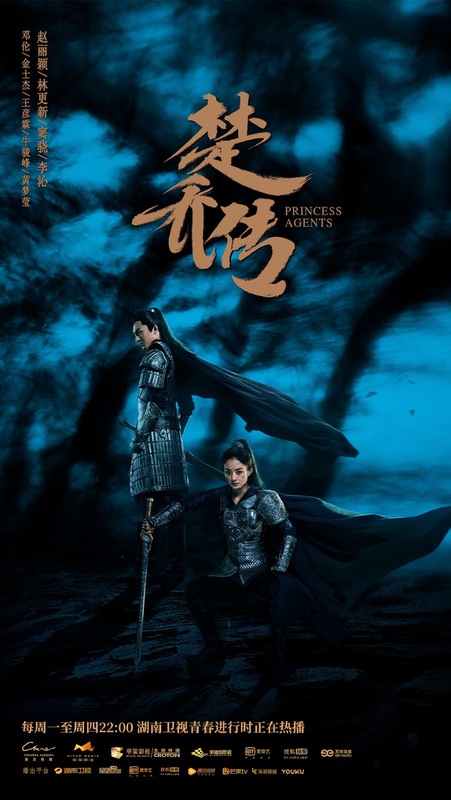 It's a good week to be watching Princess Agents 楚乔传 as all the build up from previous weeks culminate into the most epic moments - some tragic, some shocking and and some utterly satisfying. The show had a great run as it settled into the 2.0 territory in CSM ratings and breaks 3.0 in another nationwide metric to reach a high of 3.16%. It is being dubbed as the first drama for its timeslot to rank number one in the ratings game within the last two years and also the first to hit over 30 billion views while still on the air. Impressed yet? Warning: There will be spoilers till episode 48. The counter-attack finally begins now that Yan Xun breaks away from the clutches of Wei to embark on his bloody rebellion. His downward spiral is telling and warranted, but still heartbreaking to see that the last shreds of the hero that he once was are slowly being erased by circumstance. Yan Xun doesn't really seem all that evil and I'm going to miss the good guy in him once it's gone. 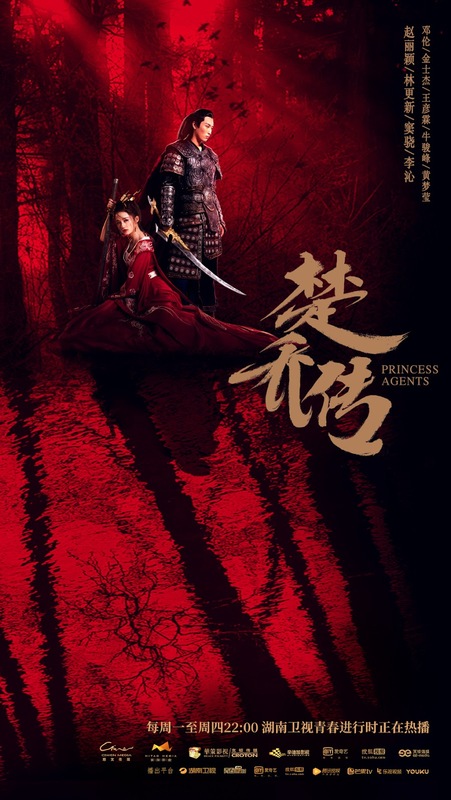 The Xiu Li Army are left for dead but rescued by Chu Qiao who rushes to save the men whose lives she vouched for. It's a powerful scene made a hundred times better by the death of a certain Yuwen Huai at long last! It's too bad that the death of the baddies are replaced with the new crazies who all habor an irrational hatred for Chu Qiao. With the descent of Princess Chun and Concubine Lan into villainhood, there are lesser allies for our favorite heroes and a very difficult battle ahead. I didn't care much for the spoiled Princess when she was nice, but I'm pretty sure that I'm going to hate her now whereas Concubine Lan is just a can of worms I can't even begin to fathom. Why does she hate Chu Qiao again? 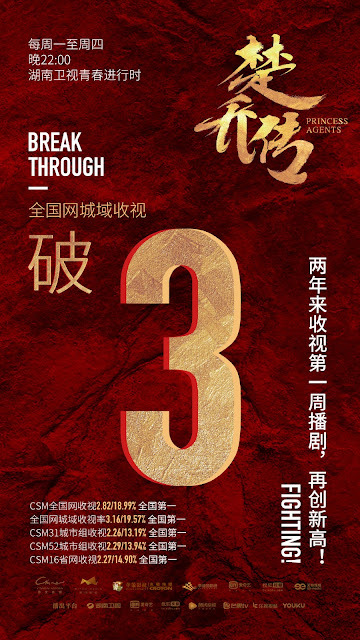 Chu Qiao and Yuwen Yue have yet to make up as usual, and it's a pity that I barely see Yuwen Yue anymore but regardless of the flaws, this is one show that is big on the emotional highs. I don't know what next week entails, but I think it's gonna be good (see preview). I am not surprised they broke 3% with this week's plot arc. It really packed a punch, esp with Chun-er's awakening and the rebellion. I wanted blood and gore, but now that it's heartbreaking more than anything else. I found much wisdom in Yuwen Yue's words both to Chu Qiao and Yan Xun. This "revenge" has devolved into pure carnage, and this new Yan Xun-of-the-soulless eyes is a tyrant in the making. (Honestly, though I'm not particularly invested in his storyline, my heart just breaks for Yan Xun). Perhaps, this is why Nirvana in Fire is so amazing. Apart from being excellently paced, the revenge was balanced. I have a new appreciation for Lin Shu's thorough planning, carefulness to make sure the real perpetrators were the ones he went after, making sure to keep innocent collateral damage to a minimum, and showing some remorse for said collaterals. Lastly, am I the only one who's noticed that Yan Xun's (unrequited) love for Chu Qiao has devolved into an obsession? True.. Lin Shu is diabolic to his enemies but a hero through and through. I actually didn't find him obsessive but really sweet haha And I keep thinking Chu Qiao must have feelings for him that she just doesn't know yet. I keep checking his interactions with Chu Qiao to see if there's a hint of any romantic feelings on her part, but apart from friendship, companionship and conradeship, I just can't see it :( :(. Then again, I am entrenched on the YWY ship, so Mebbe that's why. Also, the huge irony here is that, with what Yan Xun is doing, it's *not* his oppressors that are getting hurt. It's the innocent people who are bearing the brunt of this. That's what makes it unforgivable, no matter what has been done to him. Re: Yan Xun, it's unforgivable but sympathetic, at least that's how I feel. Coz he ultimately spared the kids born out of gratitude for his old friend YWY and spared the Prince who tried to assassinate him along with the love-crazed Princess who is gonna be out for blood now. Whatever else I think about this series it has had fantastic marketing materials. The trailers were fantastic and I've loved all the posters. These ones are spectacular. I keep thinking that this must be one of the *best* parts of being an actor in a (historical) drama/movie or a model, even. The pictures are out of this world, to die for. 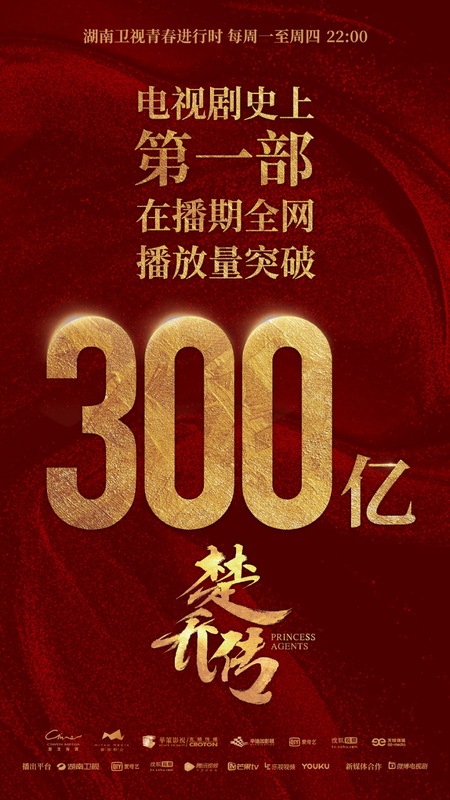 Just a minor correction but didn't 3L3W hit 30 billion views? I feel like I saw a similar poster for 3L3W announcing that they were the first drama to hit that milestone. However I do notice that the Princess Agents' poster mentions it is the first drama to hit 30 billion while it is still broadcasting (I think 3L3W hit it shortly after concluding). Thanks, have edited the post to reflect the same. It is my first time watching Li Qin in a drama and her character is not very easy to like, good actress though, I'd look forward to seeing her in Tears in Heaven opposite Shawn Dou again.